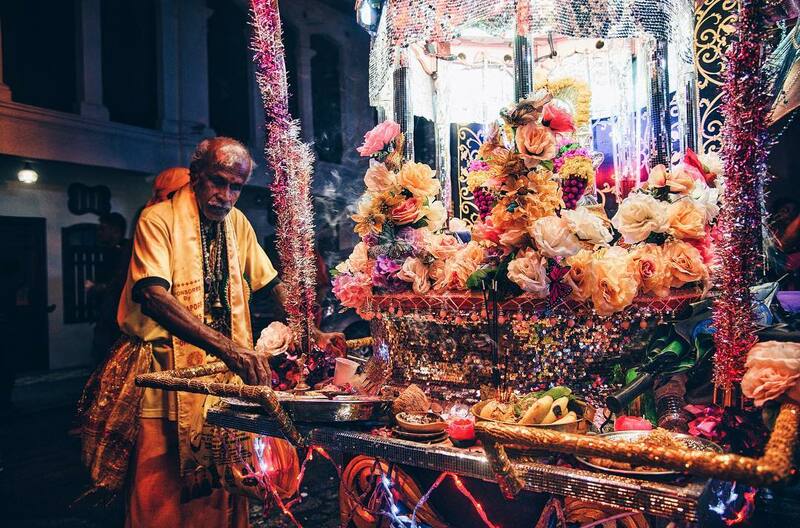 Penang, it’s time of the year again where we welcome one of the major celebrations happening in our state, Thaipusam. Penang Thaipusam is a very important celebration, not only it’s a Hindu Festival but also one of the biggest Thaipusam held in the whole Malaysia. Before we touch on Thaipusam Penang 2018, let’s go deeper into its history and culture. So what is Thaipusam ? Thaipusam is a three-day Hindu Festival which is observed by the Tamil people during the Tamil month of Thai. The name of the holiday is a combination of the month in which it occurs and the name of the star Pusam. During the festival, this star is at its highest point. So what’s the story behind Thaipusam? According to legend, Parvati (the Hindu goddess of fertility, love, devotion, divine strength and power) gave Murugan (the universal granter of wishes) a spear – the vel, so he could vanquish the evil demon Soorapadman. This is why during Thaipusam, devotees pray to Murugan to receive his grace and favours and to make penance. This year’s celebration is going to be a little different from previous years, that’s because a total lunar eclipse (yes a Blood Moon) will happen on Jan 31. This will force temples nationwide to bring the rites to an earlier end, including Arulmigu Balathandayuthapani Hilltop Temple, or better known as Waterfall Temple Penang. If you’re unfamiliar with the temple, it’s the place where we celebrate Penang Thaipusam annually. Devotees fulfilling their vows are required to offer their vows at the temple by 5.30 p.m. By 6 p.m., the temple will draw the curtains to shield the consecrated idol, Lord Muruga, and statues of other deities. Rites and ceremonies will only resume the following day at 6 a.m. Don’t get us wrong, you could still enter the temple, just that you cant offer prayers to deities. Whether it’s your first time travelling to Penang or you’re a local that has never seen or experience Penang Thaipusam, then we suggest you should this year. On the first day, a pilgrimage procession will take place to bring the statue of Lord Murugan on a silver chariot. From Kovil Veedu on Lebuh Penang, Little India, to the Arulmigu Balathandayuthapani temple (Waterfall Temple Penang) atop the hill of Jalan Kebun Bunga. Two bulls will pull the chariot and coconuts are smashed in front of it to cleanse the road (Now you know why they throw coconuts onto the floor). Since last year, they added a golden chariot which carries Lord Murugan’s spear. This is where the “true” celebration begins, or what you would always see on screen. Devotees need to go through a physical endurance. They’re being skewered and pierced on the back and front of their bodies as an act of penance. Believe it or not, they won’t feel any pain because it is said that they’ have been blessed by God. Music will blast off from one end to another, where you’ll see people dances and sing along. Join them and have some fun, there will be stalls distributing food and drinks to the devotees. Upon reaching the temple, devotees will fulfill their vows, offer thanksgiving prayers and do penance as required. Time to send the chariots back to their temples and this is the very last day of celebration. You could still join the crowd as they’re still dancing and singing along while sending the chariots back. That sounds like a lot of fun right? During the celebration, the Tamils will wear their best to offer their prayers and their traditional wear is stunning. If you’re into learning Penang’s culture, you should head over to Penang Thaipusam and experience it yourself. Dress yourself in beautiful and vibrant Indian traditional clothes and learn (of course have fun too!) Cheers and have a great day ahead!